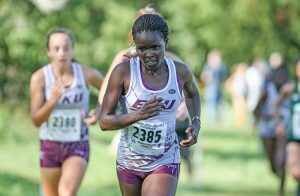 NEW ORLEANS – The Eastern Kentucky University women’s cross country team jumped two spots to No. 4 and the men’s team jumped one spot to No. 5 in the NCAA Southeast Region rankings released by the U.S. Track and Field and Cross Country Coaches Association (USTFCCCA) on Monday. It matches the women’s team’s highest regional position since the USTFCCCA began releasing the rankings in 2010. The Colonels jumped Wake Forest and Kentucky to reach No. 4, and they are also currently ranked ahead of the likes of Virginia Tech (No. 8), Virginia (No. 9) and North Carolina (No. 10). No. 1 N.C. State, No. 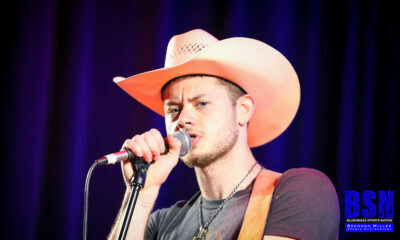 2 Furman and No. 3 Louisville are the only teams ahead of them in the poll. The EKU women have yet to lose this season. 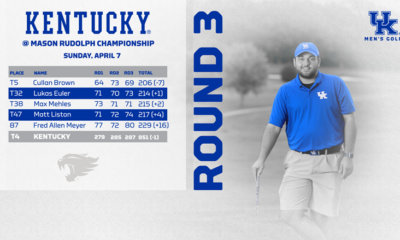 The Colonels beat out Kentucky to win team titles at the Eagle Opener on September 1 and the Bluegrass Invitational on September 9. Junior All-American Charlotte Imer has led the Colonels’ early surge. The native of Melbourne, Australia won the Eagle Opener with a 5K time of 17:17.1 and then finished second at the Bluegrass Invitational in 16:53.9. Seniors Luisa Boschan and Ciara Scott, sophomore Lilian Jeptoo Kiborus and junior Gladys Cheruiyot have also delivered strong performances in the early going. The EKU men also jumped Kentucky to reach No. 5 in the rankings, positioning themselves in front of the likes of Duke (No. 11), Wake Forest (No. 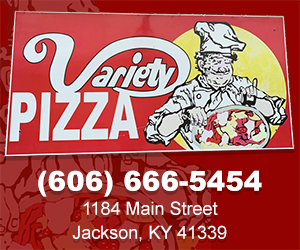 12), Louisville (No. 14) and North Carolina (No. 15). Like the women, the men beat Kentucky to win team titles at the Eagle Opener and Bluegrass Invitational. 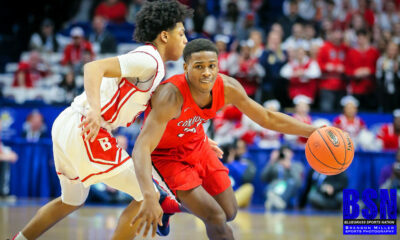 The Colonels rolled past the Wildcats, 22-48, at the Bluegrass Invitational, thanks to the debuts of junior All-American Jamaine Coleman and two-time defending OVC Runner of the Year Erick Rotich. 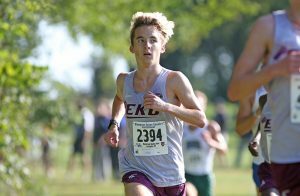 Seniors Addison Monroe and Jakob Abrahamsen and freshman Zak Kirk rounded out EKU’s scoring five at the meet. The cross county teams return to action the weekend of September 29-30 at the Joe Piane Notre Dame Invitational (men only) and the Greater Louisville Classic.